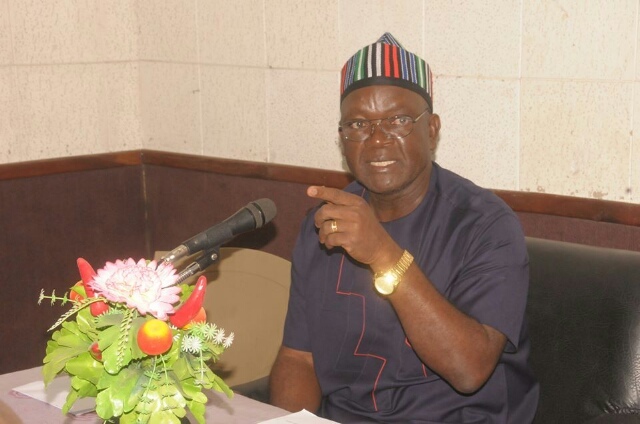 The Benue State Governor, Samuel Ortom, on Tuesday backed a former Minister of Defence, Theophilus Danjuma, on his call for people to rise and defend themselves in the face of killings across the country. Ortom gave his support to the call in an interview with State House correspondents shortly after a meeting he had with President Muhammadu Buhari at the Presidential Villa, Abuja. While saying that Danjuma did not ask people to take up arms, the governor explained that the former minister only said people should protect themselves. He said, “Of course, you know that self -preservation is the first law of nature. “You can’t just wait in your house and allow someone to come and kill you. You can resist the person, but you don’t necessarily need to have arms. “I think that was what the former minister was saying. There is need for people to arise to defend themselves not necessarily using weapons that are banned. “You can use a stick and disarm someone. Some years ago, I was able to disarm armed robbers with seven AK 47 without anything. I think that is the kind of thing he is trying to say. Nigerians should rise up to do this. The governor said some fresh killings had been recorded in his state since after Buhari visited recently. “Well, there are some killings in flash points by these militia groups, the security men are doing their best, and a number of arrests have been made by the security agencies. “It is still going on, even yesterday (Monday), there were killings but the security men are doing their best. I believe that we will overcome this. “If not for the presence of the security men in our land, the situation would have really worsened than what it is today. I think that we are collaborating with the security agencies and are not leaving any stone unturned that we overcome this,” he added.